Boland’s Mill was a strategically significant location during Easter Week. Primarily because it was located near the railway line which connected Dun Laoghaire, then known as Kingstown, and Dublin. This was then the route which the British military would use to deploy troops into the city to subdue the Irish rebels. 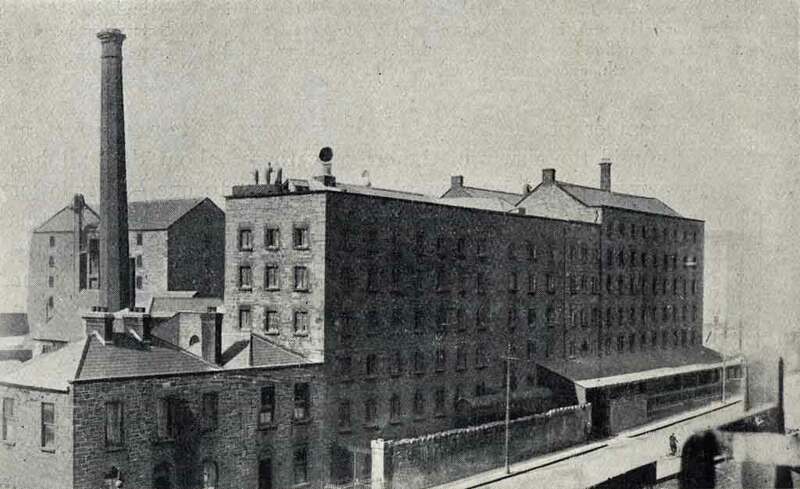 To prevent this from happening, the Mill was held by the 3rd Battalion of Irish Volunteers under the command of Eamon DeValera. Roughly a hundred men, armed with whatever fire power they could find, occupied and tried to fortify the area. The British military chose not to engage the Rebels and instead shelled the building with artillery. Nonetheless, they remained at their position until the news of surrender reached them on the Sunday of Easter week. Boland’s Mill largely remains intact today.